As we meditate both on the great Sacrament of the Eucharist as well as the Feast of the Visitation, let us remember that Mary is the New Ark of the Covenant where literally God dwelt within her womb. A beautiful exterior manifestation of this sublime mystery can be seen at the Sanctuary of Divine Mercy in Chicago. 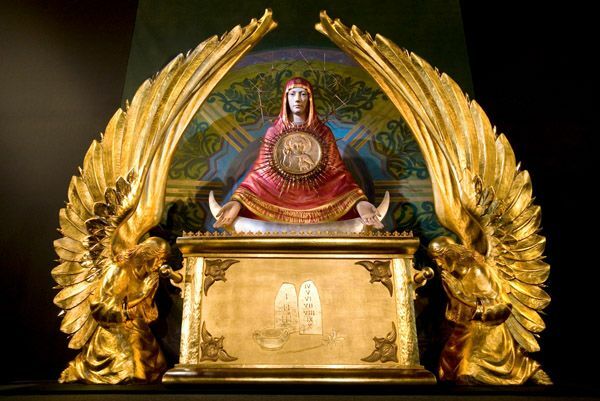 There resides a large monstrance made in the image of Mary, Ark of the Covenant. O what beautiful a Sacrament!